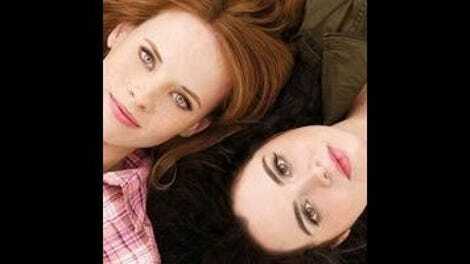 The back half of Switched At Birth season two was all about change. Focusing on Bay and Daphne’s personal exploration during the summer before their senior year of high school, the show completely shook up its narrative from the first half of the season in these last 10 episodes, scattering its characters to the winds so they could find their own paths to maturity and reveling in all of the inevitable bumps and bruises they picked up along the way. These bumps and bruises were felt by the audience at times, too, as the show sometimes stumbled through its more ambitious stories, but this season two finale was a lovely and very successful way to bring all of these characters’ individual journeys to a satisfying—and purposely imperfect—end. The ride Switched At Birth took its audience on this summer was at times a frustrating one because it often pushed the comfortable boundaries of what we previously knew of each character’s emotional safety. This frustration was felt most deeply when it came to Bay and Daphne, who spent the entire summer making very difficult choices, choices that at times were impossible to understand. But, as “Departure Of Summer” proves, there was a method to this season’s madness, especially in the case of Daphne Vasquez. If anything, this summer was all about Daphne experiencing what life would have been like for her on the other side of the tracks. Living with the Kennishes, working at John’s office in a cushy job as a senator’s intern, and generally basking in all of the privilege that comes along with this stature (like the oft-featured country club pool) were things Daphne was completely taking for granted. At times this season, she completely lost herself in it, almost losing who she was in the process. All of that false security comes crashing down around Daphne here when Chip Coto catches Daphne and Nikki breaking into his office and attempts to blackmail John out of a $50,000 campaign contribution in return for not pressing charges. That John is so willing to shell out this cash to save Daphne from herself—and, more importantly, that he’s able—sends Daphne into some very interesting self-reflection about her roots as an East Riverside kid and what that means now that she’s living in a big house in Mission Hills. This respect for her more humble upbringing, and a desire to take some personal responsibility for all of her misdeeds, is what makes Daphne’s mostly unsympathetic and at times almost character-damaging story this summer completely work. By posting that blog telling her story and accepting the consequences, Daphne not only made amends for all of the bad decisions she made along the way but showed a great bit of maturity in understanding just what all of those decisions meant for herself as a person currently, compared to who she wants to be. Was it maddening at times? Certainly. But in a summer all about growth, Daphne’s journey represents the biggest change from where she began and shows that just because you lose yourself for a little while doesn’t mean you are lost forever. As for Bay, well, her story was frustrating in a completely different way. Bay’s summer was all about falling in love, and it took almost the opposite trajectory of Daphne’s: The beginning was fraught and complicated, but slowly became less about Bay and her growth and more about the people around Bay. At the beginning of Bay and Ty’s relationship, it was about two people tentatively finding something in each other and holding on for dear life, but somewhere along the way, the more Bay held on, the more Ty pushed back, in ways that much of the time Bay didn’t even realize were happening. Ty keeps things from Bay, ostensibly to protect her from pain—things like his unit getting sent on a much riskier mission—but at a certain point, Bay needs to be trusted enough as a person to be presented with the information at hand so she can make her own decisions. Instead, time and time again, Ty makes decisions for her in order to shield her from pain. While this shielding seemed a bit more noble in the last episode, Ty’s decision to let Bay think he cheated on her rather than simply tell her about the danger he’s about to be in and break up with her is a downright cowardly move. It’s especially hurtful because Ty uses the one thing Bay is insecure about—his past with Aida—in order to make the blow land that much harder. When Bay goes to Emmett in search of answers as to why guys cheat, specifically why they cheat on her, it’s heartbreaking because Bay doesn’t have all of the information, and it’s frustrating because unlike Daphne’s story, I’m not sure exactly what we were supposed to get from this one. Young love is tough, young love hurts, and sometimes, young love ends without explanation, but what will Bay take away from this whole situation? That everyone she loves will eventually hurt her? For someone who consistently gives her heart fully, Bay certainly doesn’t seem to receive the same amount of goodness she puts out into the world. The final big story of the summer was Toby and his impending marriage to Nikki, which took quite a few twists and turns along the way, all leading to tonight’s planned wedding. This story was rocky at times—teenagers getting married on television is always a dicey proposition—but what I ended up respecting about it the most is how natural its evolution turned out to be in the end. We didn’t get nearly enough of Toby and Nikki together as a couple once they were engaged, as they spent most of their time on their own individual paths in preparation for the wedding, but it seemed like everything we did see only served to strengthen the fact that these two feel like this is more than just a passing relationship. Heck, it even made me root for their wedding to actually happen. Everything came to a head after the rehearsal dinner, when Toby and Nikki confronted their parents about their negative feelings toward the impending marriage and the entire blended family had one big fight. It’s what happens afterward, when they sleep together and then call off the wedding to secretly elope, that really cemented this as a story I want to see more of. A too-young engaged couple is one thing; a too-young married couple who love each other and are trying to make it work? That’s entirely more interesting. Just like their engagement, it surely has some rocky roads ahead. As the lights went out on Maui, Kansas, at the end of this finale, it felt like a nice, appropriate goodbye to a turbulent and often vastly rewarding season. Goodbye, summer. See you in January when you’re (hopefully) back in school, Switched At Birth. Carrie Wikis Some Art: Departure Of Summer, Man Ray, 1914, oil on canvas. Although it wasn’t the best developed arc of the season, I love the resolution of Angelo’s story with Abby by bringing back adopted parents Leo and Victor to work out a shared custody-type situation. I don’t have a legal mind, so the intricacies of how and why Daphne and Jace were arrested for the blackmail are a bit beyond me. Is this an investigation that happens in the district attorney’s office even if Coto doesn’t press charges? A nitpick: Much of Daphne’s story was about recognizing her privilege and rejecting it to an extent, but having a fancy lawyer paid for by John to help her defend herself against the blackmail charges is also a part of that privilege. I hope that is acknowledged at some point. Note to parents: Don’t open your kid’s mail, because sometimes it’s STD test results. Awkward. “What is it with you and boys lately?” Regina Vasquez, speaking truth to Daphne.